Every Day Counts (EDC) innovations support U.S. Department of Transportation and Federal Highway Administration priorities to enhance safety for all road users and improve the Nation's transportation infrastructure. Data-driven safety analysis (DDSA), for example, includes crash and roadway data analysis tools that predict project safety impacts, helping agencies better target investments and reduce severe crashes. As a result of EDC, 10 States use DDSA as a standard practice and 37 are demonstrating and assessing DDSA tools. The Missouri Department of Transportation used DDSA to identify locations with high potential for safety improvement and apply cost-effective countermeasures expected to prevent 73 fatal and serious injury crashes over 10 years. A road diet is a low-cost strategy that reconfigures a roadway cross section to increase mobility and safely accommodate all users. Road diets are a standard practice in 22 States and 25 are installing road diets and developing processes for identifying potential roadway reconfiguration sites. After the Virginia Department of Transportation completed two road diets in Fairfax County, crashes on those streets declined by 67 and 69 percent. Geosynthetic reinforced soil-integrated bridge system (GRS-IBS) is an infrastructure technology that delivers low-cost, durable structures that can be built quickly with readily available equipment and materials. With the help of EDC, the number of U.S. GRS-IBS structures grew from a few in 2010 to more than 200 today and 11 States use GRS-IBS as a standard practice. An Accelerated Innovation Deployment (AID) Demonstration project in Dodge County, WI, replaced two bridges over streams, demonstrating the feasibility of GRS-IBS for water crossings. Another infrastructure innovation, ultra-high performance concrete (UHPC), creates simple, durable connections for prefabricated bridge elements. UHPC has been used on more than 140 U.S. bridges. Seven States institutionalized UHPC connections and 23 are demonstrating and assessing the technology. In addition to connections, UHPC can be used for durable bridge deck overlays, as shown on an AID Demonstration project in New Castle County, DE. Read next week's EDC News for EDC success stories that support U.S. DOT and FHWA goals on innovation and accountability. 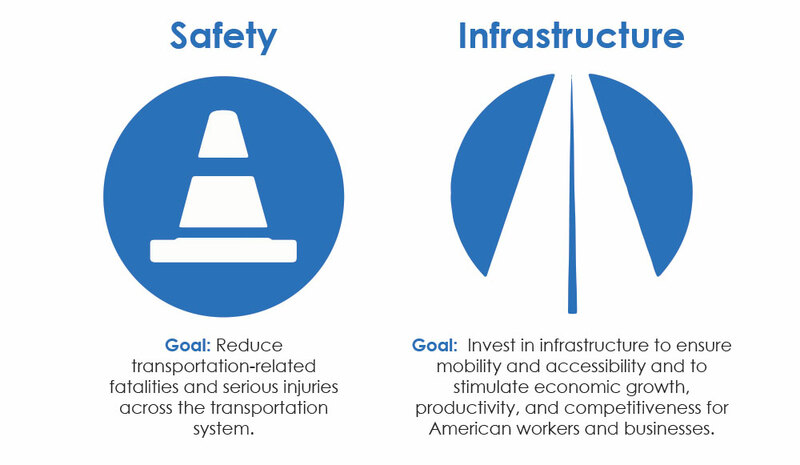 See FHWA's 2019-2022 Strategic Plan for details on the agency's goals and objectives on safety, infrastructure, innovation, and accountability. The city of Danbury, CT, connected 70 of its 80 traffic signals to an automated traffic signal performance measure (ATSPM) system. The city uses the ATSPM system to obtain real-time level of service information and daily and weekly traffic flow data, which enables easy identification of signal timing deficiencies and facilitates signal coordination. The system also allows the city to eliminate physical field monitoring and data collection along the installed corridor. For information on ATSPMs, contact Eddie Curtis of the FHWA Resource Center. A new plans, specifications, and estimates (PS&E) review process, Project PS&E C-Rev, leverages stakeholder engagement, collaboration tools, and three-dimensional (3D) modeling technology to improve biddability, constructability, and plan quality. Learn more about Project PS&E C-Rev, a focus technology of the American Association of State Highway and Transportation Officials Innovation Initiative, through a webinar series that begins December 12.